This week, I continue with observations about the Northern Outreach Program. If you missed the introduction, you can read it here. 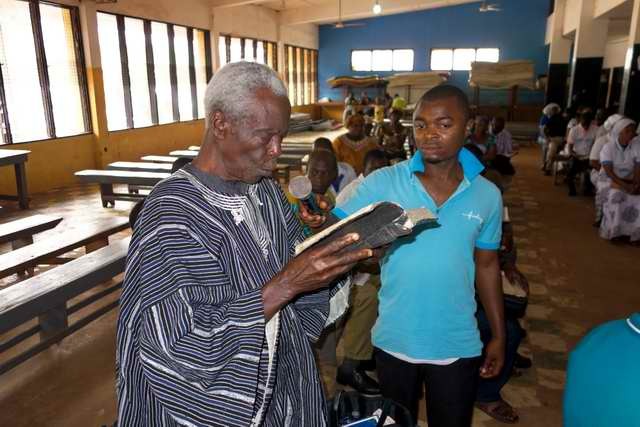 At least two Ghanaians and an Australian have done research into the impact of translations of the Bible into the languages of northern Ghana. One Dr. Solomon Sule-Saa wrote a doctoral thesis on the topic and another, Dr. Thomas Atta Akosah, produced several papers. To understand the results of their research, we need to understand the context they studied. The peoples of northern Ghana have low levels of education. Those who do receive an education, then leave the area to find work. 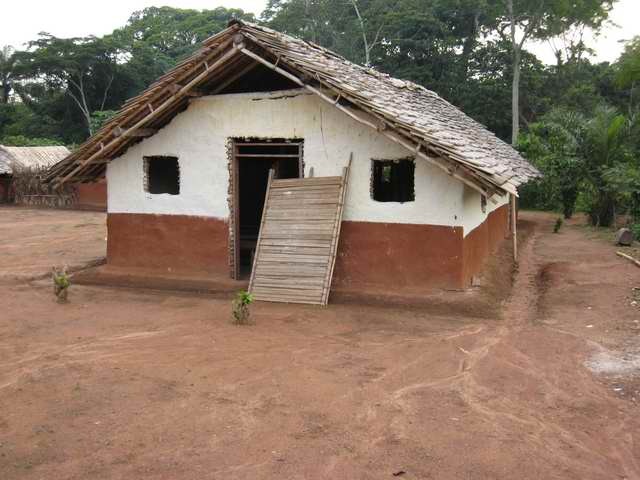 So rural churches in northern Ghana often have few members who have finished high school or even primary school. Where there is no translation in their language and no literacy, discipling local believers into leadership roles is a long task. Many do not know how to read. Even if they learn to read, the Bible is only in a language they do not know. Everything depends on a pastor as few others can lead a Bible study or teach a Sunday School class. The most foundational tool for Christian growth, the Bible, is inaccessible to most believers. Their context is full of information about their traditional beliefs, but it is meager in information about their new, Christian faith. 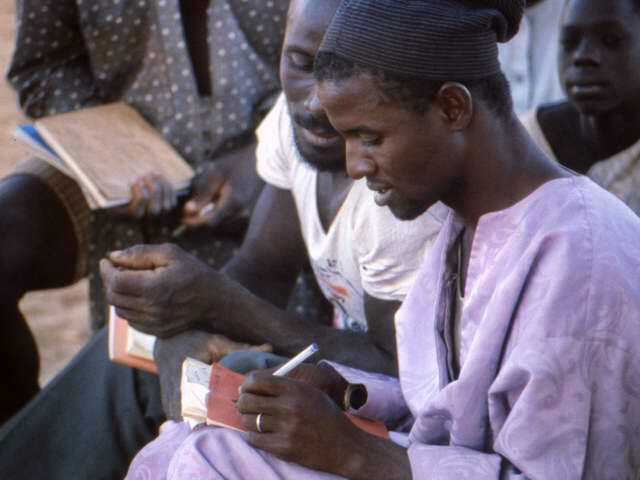 Dr. Sule-Saa research reveals that where there are translations of the Bible in the language, churches sustain themselves and even expand of their own initiative, but other churches where there is no translation in the language of the people need constant help from outside and even then they might stagnate. I have noted this result in other blog posts. Dr. Atta Akosah’s research explains one of the reasons why this is the case. He shows that the translation of the Bible in the heart language (mother tongue) results in the emergence of effective and widely respected local church leadership; something that does not happen where there is no translation. When local people start reading the Bible in their language, some of them emerge as leaders. Applying their literacy skills and using the Bible as their textbook, they begin answering key questions – questions they ask themselves and questions being asked in their communities. They become known as sources of good advice and help. In one area, an illiterate young man came to a Bible translator, asking to learn to read his language. So the translator taught him. He used his skill to read the Bible in his language. He went on to learn English, and become a pastor. He stayed in his home area where he started a church where he preaches in the his language. The church is composed almost entirely of converts from another world religion. He has a reputation in the community for answering the questions people have, so much so that other local pastors and even the leaders in other religions call him “the teacher”. People of all faiths come to him for answers. He even has a Bible question and answer program on a local FM radio station in his language. The rise of empowered lay leadership also happened in the Northern Outreach Program. The emergence of this new level of lay leadership, reminds me of Jesus disciples who were called “uneducated, common men“. It is certainly a very good sign for sustaining the relatively new churches stated among the peoples of northern Ghana whether in their home areas or in the cities. When I attended the celebration of 25 years of the Northern Outreach Program, I found a large hall full of representatives of churches established by the program, few educated, all with their Bibles in their languages.. When we spoke to them about the rise of local, respected lay leadership through literacy and the Scriptures in the heart language, we got a chorus of verbal affirmation, as we did when we told our observations of other results. We were not telling them anything new, just affirming what they were experiencing. 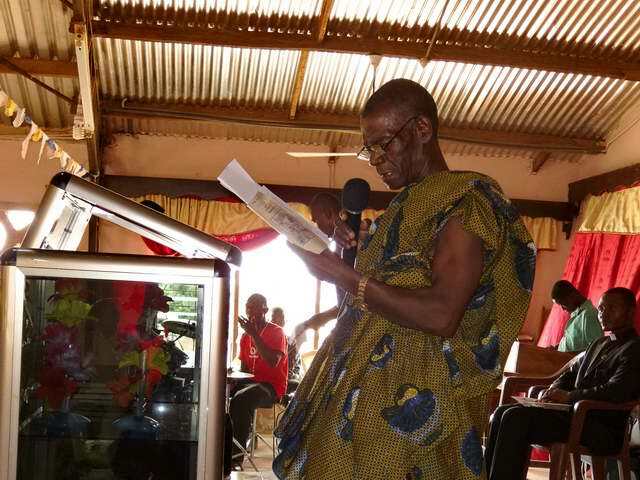 This entry was posted in Bible impact, Ghana, Heart language, Literacy, Personal experience and tagged bible translation, Ghana, heart language, indigenous church leadership, Northern Outreach Program, Scripture impact, sustainability, translation of the Bible. Bookmark the permalink.